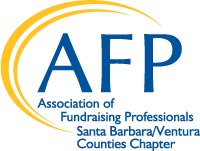 Are you looking to join AFP but can't afford the Membership Dues? Already a member but your organization doesn't help with the cost of dues? Would you like to attend the National Philanthropy Day Event on November 15 but your organization can't afford the cost of attending? Have you ever dreamt of attending the AFP International Conference but assume that will never be a reality? How would you like to have a free membership, 4 FREE trainings, and FREE admittance to the Spring Symposium? The application process is EASY - fill out, scan, and email to Debbie Williams dwilliams@craneschool.org before the stated deadlines.